DJ Eddy-N Feat. IVA & Heat, Ramada , AC/DC, Mr. 305 (Ft Pitbull, David Rush & Vein), Deficio and more. We have reached the midpoint for 2013 and are in the heart of the summer season. I have brought you Episode 5 with the intent to tickle your sensory perception with audio and beat manipulation to raise your pulse and put your soul into overdrive. 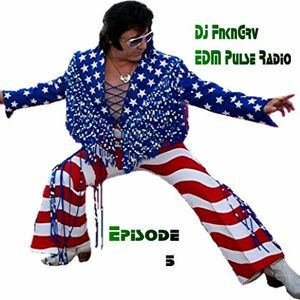 This installment features many great brand new remixes and also some wonderful remakes that make those old enough to relive past memories as well as the younger of us to create new ones! The beats run the gamut from House to Electro to New Disco. I hope that you share, download, and enjoy to your hearts content!